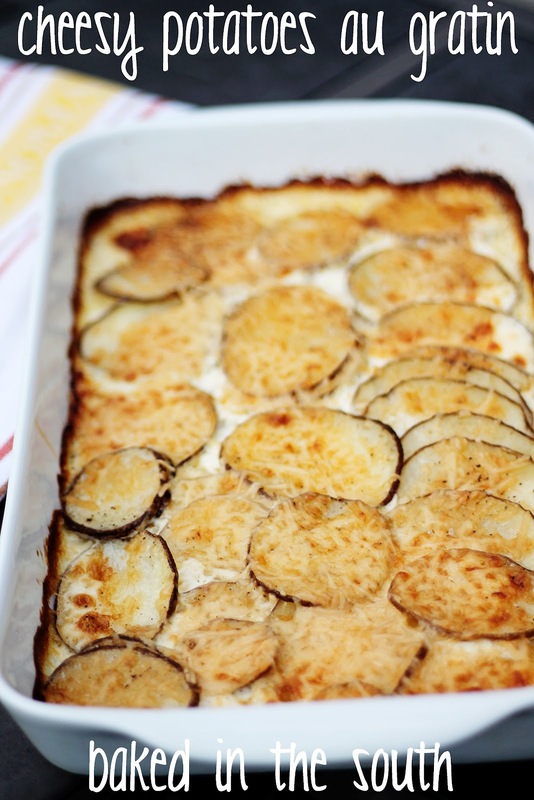 There are many au gratin recipes out there that require multiple steps and make this dish kind of a pain to prepare. But with this technique, it couldn’t be easier! Serve these along side a nice steak, some grilled asparagus and a glass of cabernet and you have a gourmet meal in minutes! Preheat oven to 400 degrees. Wash potatoes and slice thin using a mandolin. You can also slice them with a knife, but I like mine nice & thin. 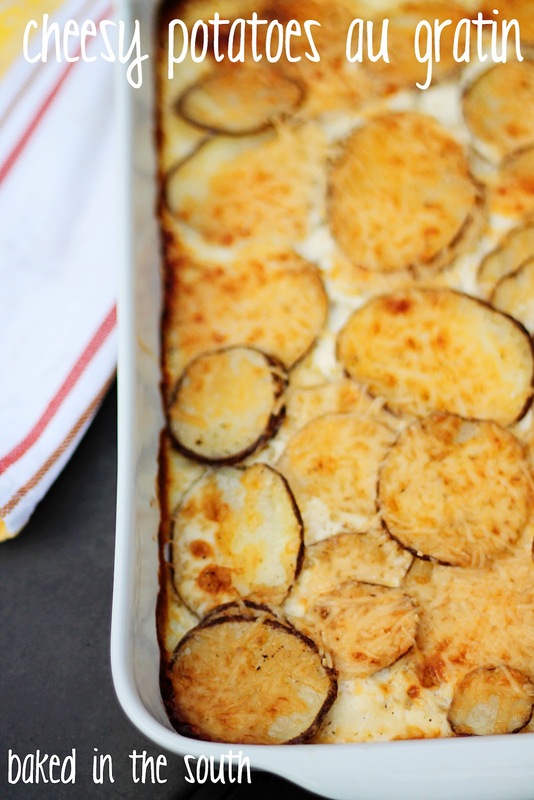 Layer potatoes in a 9×13 baking dish. Cover potatoes with heavy cream. Top with parmesan cheese, salt & pepper. Bake for 30-40 minutes until brown & bubbly.